Please note that the image above is for illustration purposes and shows a different language edition. You are purchasing the Turkish-English edition. A brilliant dual-language board book for babies, toddlers and their parents to enjoy together. 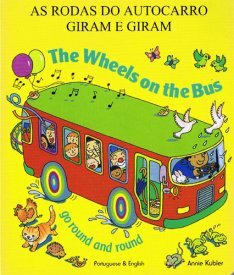 Using a well known rhyme, children are introduced to new language through illustrations of a bus and its passengers acting out the song. The dual-language text in this book is simple but is intended for native Turkish speakers. I gave as a gift. Ideal for toddler.